Nakanishi Peanut is a popular specialty shop in Nara. 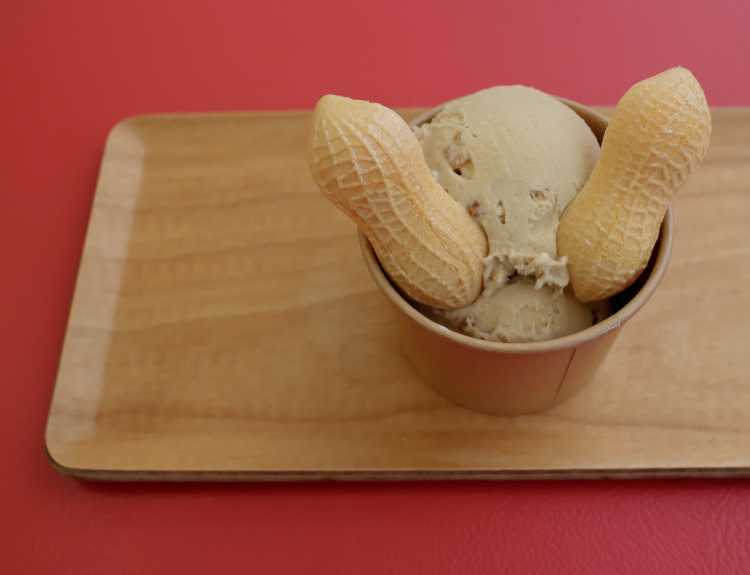 And this is a lovely peanut ice cream sold here. The tastes is only maple & nuts, it's so delicious that we must be fascinated at all.